Already Recognized As A Precision AC Installation and Support Group, American Cooling and Heating Announces Liebert Precision Cooling CRAC Systems Installation, Maintenance, and Repair Services. 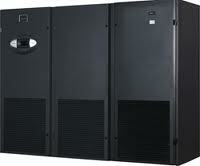 Reliable mission-critical applications demand reliable data center cooling solutions. Every increase in temperature carries with it the risk of unnecessary downtime. For dependable equipment performance, you must maintain precise data room temperatures. Liebert precision cooling CRAC systems supply a data center solution that eliminates frustrated workers, confused technicians and disappointed customers. Arizona business managers are no strangers to record-breaking heat. The battle to balance soaring energy costs with the necessity for consistent data room temperatures cannot be fought without some degree of frustration. You save a dollar on equipment, work with the most dependable Arizona AC service center in the business and still the outside temperature demands greater work from your system. Flexibility and Scalability – To achieve optimal operational and capacity functionality, data center facilities must be designed for flexibility and scalability. Key Design Plans – The key design factors of an efficient data room include, building selection, floor plan, layout of the electrical system, mechanical environment, site location and a modular approach that permits rapid change while promoting minimum renovation. Client Issues – Apply the principles of flexibility by measuring the impact of new hardware technologies, cost elements, acceptable levels of fault tolerance and data center organization. Forces of Change – Identify the complications that typically force change, including cost pressures, the need for new equipment, requirements for extended redundancy, floor space constraints, changes in safety regulations, incremental power requirements, advanced security regulations and more. HVAC Equipment – Data room design must include a cooling plan that corresponds to rack layout, power demands, situations that require "spot" cooling, and various other mechanical configurations. 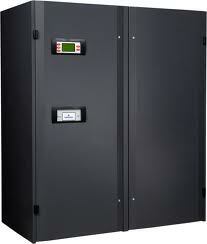 Efficient data room cooling calls for more than a standard air conditioning service center. To be effective, your Arizona AC installation and repair technicians must know the heating and cooling process, but they must also understand the purpose behind the architecture and engineering of a data center. Quality Liebert CRAC support partners comprehend the equipment, the associated client issues and the forces of change. And all of the associated client issues. American Cooling and Heating is proud to present Arizona businesses with the latest innovation in AC sales, service, installation and repair for all Liebert Precision Cooling Products. It is often said that there is “nothing new under the sun,” but the heat is rising, and meeting the needs of modern businesses requires a new approach to data room heating and cooling processes. Qualifications – Every ACH Arizona AC technician is fully trained and equipped to meet the toughest heating and cooling challenges in any environment. Quality – Every ACH Arizona AC repair, sale, service or installation is performed with experience, skill and dedicated attention to details. Adaptability – Every ACH Arizona AC service technician remains up-to-date with current heating and cooling technology, and is ready to adapt to advanced and changing customer needs. 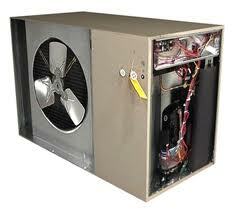 Arizona weather can be extremely hard on data room heating and cooling equipment. Customers are concerned about energy costs and using energy wisely. Liebert Precision Cooling CRAC Systems provide a reasonable, cost-effective solution to continuous changes in the external temperatures. 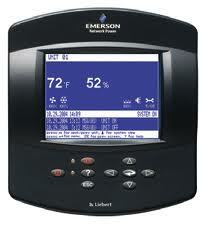 American Cooling and Heating ensures that the Liebert systems work right in your data room environment. With so much going for them, you can’t afford to ignore the performance of Liebert Precision Cooling Systems. Count on the Arizona AC installation and service pros at American Cooling and Heating to install your Liebert system with a 100% Satisfaction Guarantee. Then sit back and enjoy the reliability and the and savings of a new Liebert CRAC system!